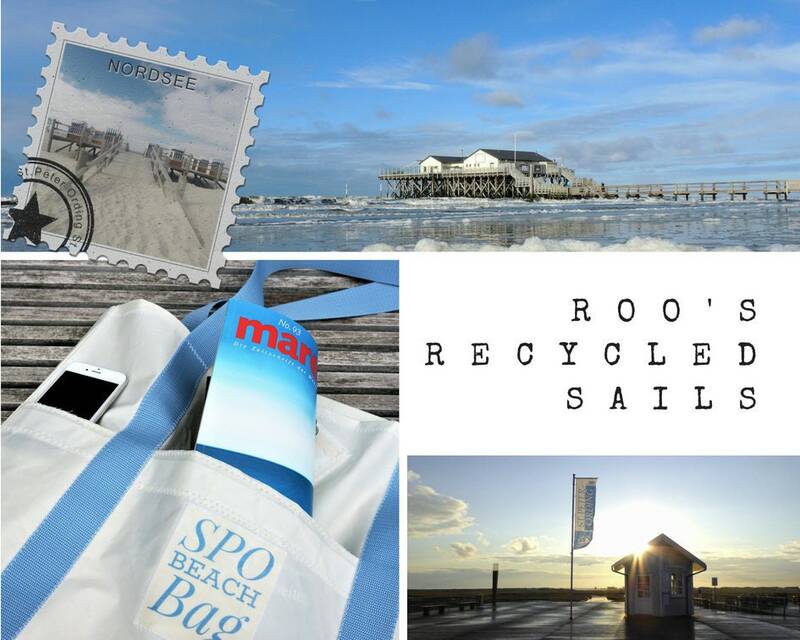 SPO BEACH BAG is a bathing bag made from original sails of the brand "Roo's Recycled Sails". 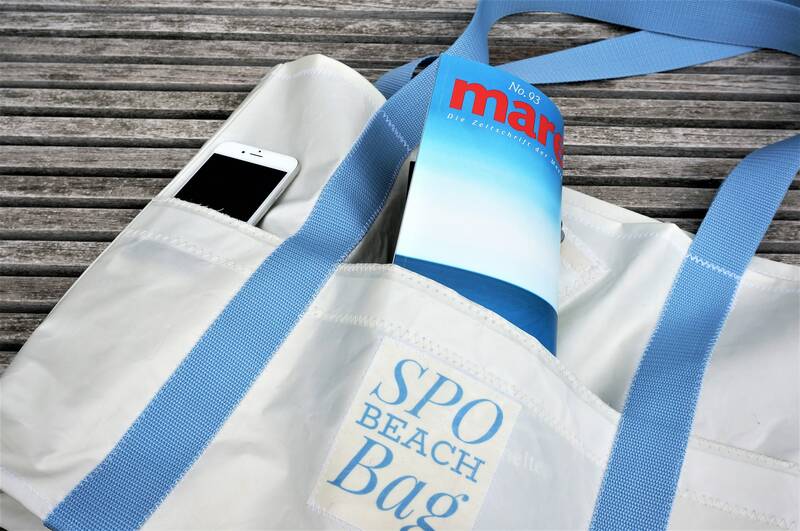 With this upcycling shopper bag in the format 51 x 37 x 11 cm you are in fashion - especially in SPO - St. Peter-Ording! 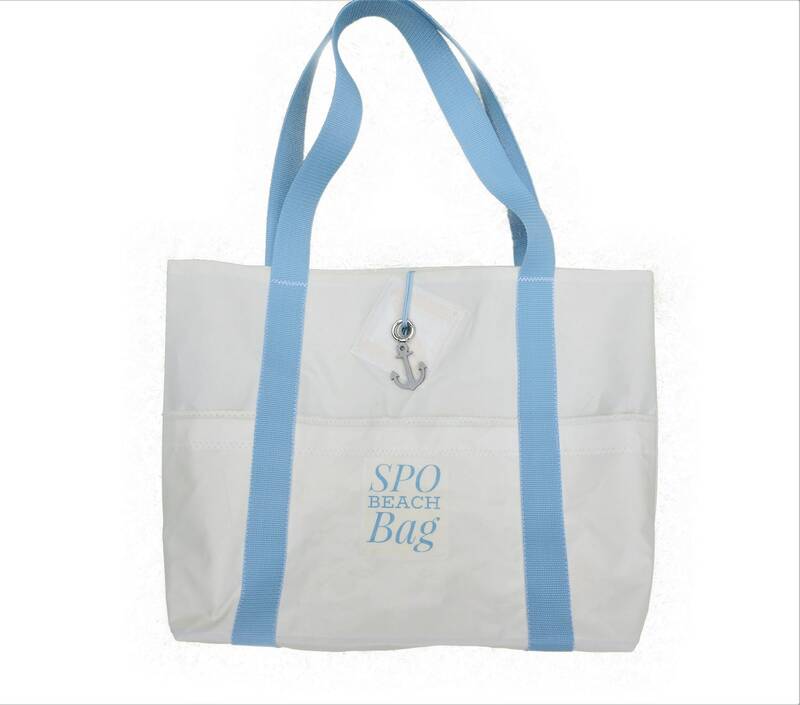 The unlined shoulder bag has an open front compartment with the label "SPO Beach Bag" on the front. 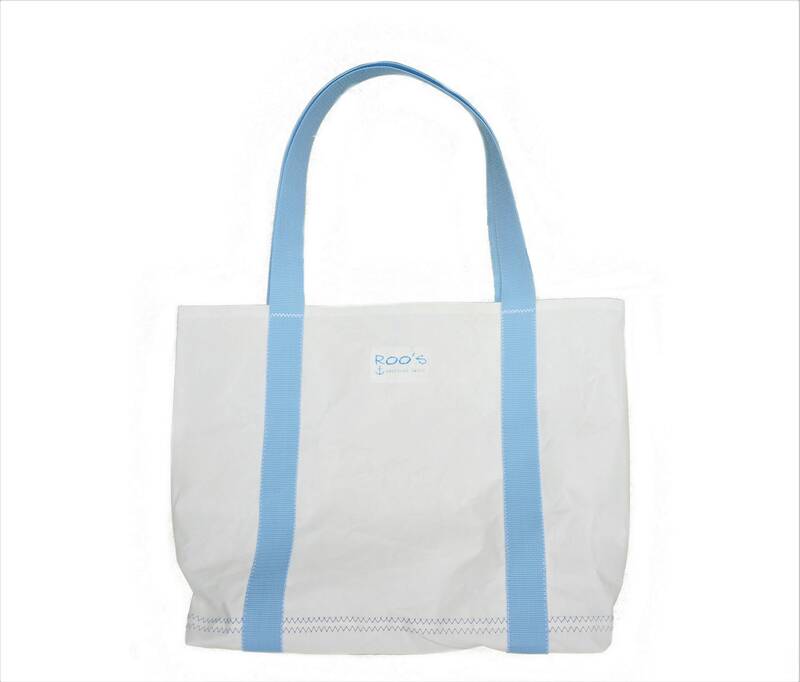 And as a special detail is located on the top center original eyelet of the sail, a ca. 5 x 4 cm large light gray leather anchor. 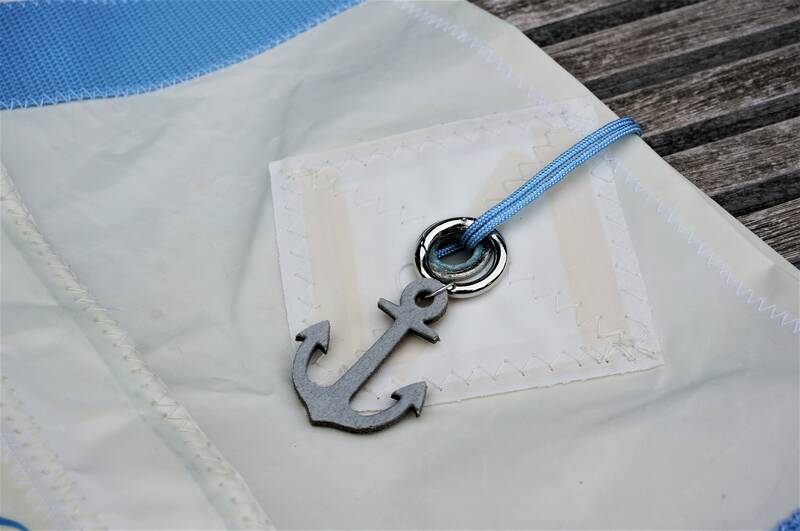 The anchor is knotted with light blue sail rope, but can be used separately as a keychain, as it can be removed easily. 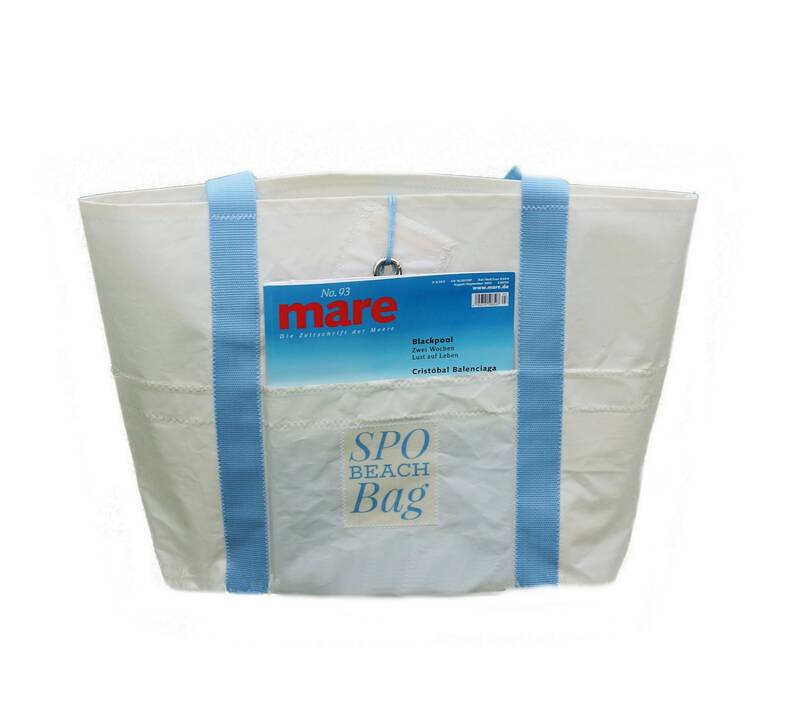 The zig-zag seams with which the label with the light blue lettering as well as the light blue polypropylene straps are attached, ensure the authentic maritime look. 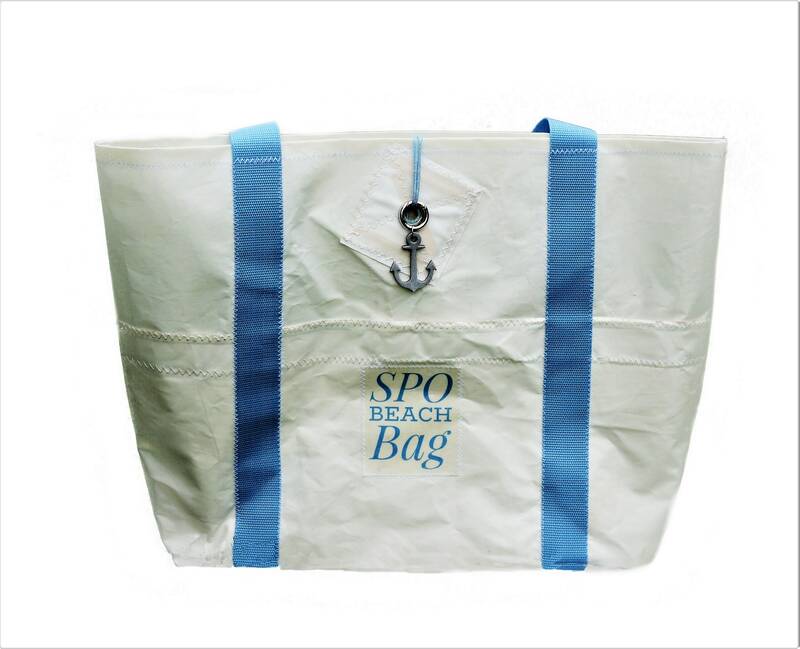 Anyone who loves maritime design and is looking for a special, unique bag made by hand is exactly right with the SPO BEACH BAG. 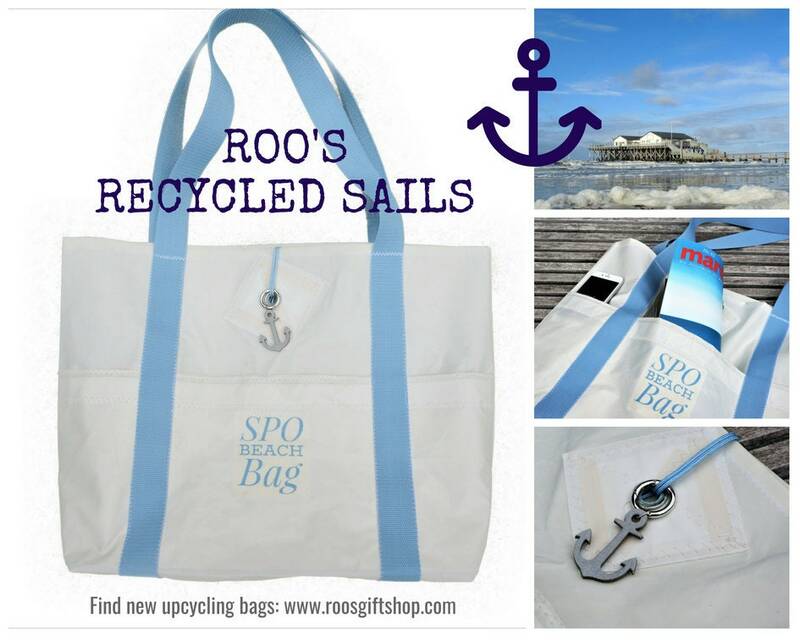 Important note: Since the sail is needed and begins its second life as a bag, signs of use or minor stains, which originate from the first life on the oceans of the world, unavoidable. Although the sailcloth (Dacron) was thoroughly cleaned beforehand, small traces are not enough and are therefore not a reason for complaint.